Looking for a Goalscape discount coupon code or a Goalscape promo code? Goalscape rarely has discount code, but do some times. If there isn’t a Goalscape discount code available, the best deal for Goalscape will be shown. Good luck obtaining your Goalscape Connect Promo Code! The following is a Gravity Form Form, that allows you to submit a post via the front end. It can submit as ‘draft’, ‘pending review’ or even ‘published’. Feel free to try it, and if you include a valid WordPress tip or other news I may even publish it. Occasionally a WordPress plugin is not templated, so difficult to customise the output, so in these circumstances one solution is to use jQuery to modify the output. Now this is not pure and a bit hacky, as ideally you would change the code that is producing the output. However the situation is just sometimes that isn’t the pragmatic or economic route. The situation I had was a plugin I needed created a list of bullet points but each were links, and the links simply were not required. The follow ‘fiddle’ shows how to remove links using jQuery. WordPress comes with a standard set of roles and capabilities e.g. However these are only the default, and can easily be customised to meet virtually any requirement. Traditionally this has been a programming task, and many plugins will add new role definitions e.g. membership plugins will add members, e-commerce plugins will add purchasers etc. However, there is no need to go down this route if you don’t want to as there are several plugins that add a User Interface to WordPress roles & capability functionality. Sailwave comes with many different ways to ‘publish’ results, including FTP’ing the html results files to a server. Whilst there are many ways to achieve the desired results, the situation arose that my server no longer supported FTP ( like many now as it is not a secure protocol) and I still wanted the results files on my server as I manipulate them with some PHP to tightly integrate them to the club website’s code. The solution is to use SCP in my case ( or SFTP could do ) and for windows that means using WinSCP. My solution uses certificated access, although password access can be achieved if your server permits this. The solution captitalises on the fact that Sailave has a ‘publish’ option to a windows application. Like many free software finding the download is a chore as there are many adverts – but this link should do it https://winscp.net/download/WinSCP-5.9.1-Setup.exe and the download will start automatically. Once download click & install using the defaults in the normal way. On Windows 10, right click the windows item, select ‘system’ then ‘advanced systems settings’ then the ‘environment variables’ button. PuttyGen should have been installed with WinSCP. As mentioned, using keys is optional, and passwords can be used if permitted on your server. If you use passwords though the scripts below will need to be modified. You should be able to test this simply enough, create a test file e.g. If it runs it may ask about server fingerprints, say ‘yes’ and hopefully your local file gets uploaded as your remote file on the – if it works then delete your test files. as it joins up with the path specified in put.script above. Then publish, and check it worked. A little black window should pop up and disappear on completion, if you are having trouble testing, simply remove the ‘exit’ line from the put.script file, the window will stay open (until you type exit) giving you a chance to read any error messages. By default Google Compute Engine (Debian) doesn’t come with any swap space. If you have periodic programs that eat a bit more memory (like my backups do) then instead on just adding more physical memory you can add a swap file. Swaps files are much slower than physical memory, so should be avoided except when it is needed. How much swap? Well that is down to your system. Maybe start with 1x your physical memory and then run memory diagnostics tools. The process I use is as follows. As I use Virtualmin as my control panel, the process details they way to use it from Virtualmin, but you can tailor to your own needs. I’m assuming you have already signed up to Google Cloud Console and set up a project / billing as required. 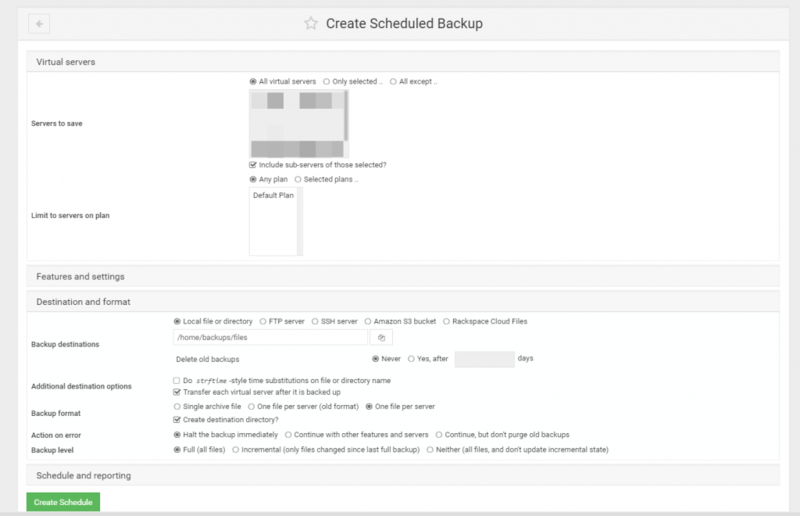 The process uses a local backup copy and then moves / deletes it. So if you are limited in working space, you may need to divide you backups in to workable tranches. You can use the Google Cloud Console to do this, but as you have the gsutil command and you will need to get used to it, here is how to do it from the CLI. set life cycle e.g. 35 days to delete or as required, that way your storage bills won’t grow forever. Of course to recover backs requires copying locally and then restoring too – but with gsutil that is fairly easy.